Losi has another demo video of their upcoming Losi LST XXL-2 gas powered monster truck. This one a big longer than the previous one and really makes the XXL-2 to be one bad truck! There’s been word out about the HPI Savage Octane for more than a year now, but finally we have a video of it in action – and it looks very promising! Can’t wait to see these released for purchase. 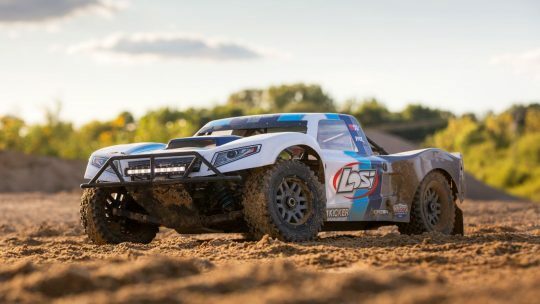 Losi just released the good news that they will be shipping out a pre-built roller of their 1/5th scale Losi 5ive-T large scale truck! Nearly everything is complete on the truck minus the need for your choice of engine, pipe, electronics, and paint.